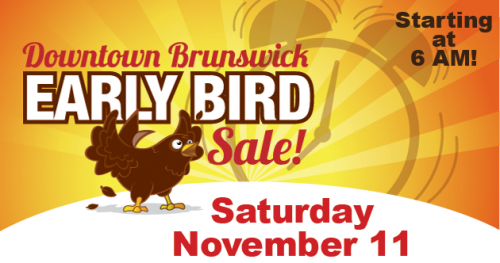 Brunswick Downtown Early Bird Sale starting at 6 am, Saturday, November 11th. 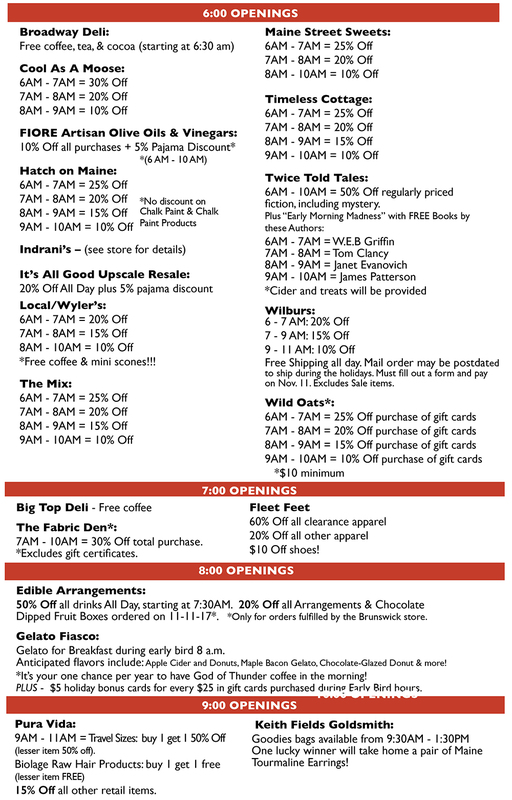 Exciting sales discounts and specials offered by many Brunswick Downtown businesses. Wear your pajamas and SAVE! Don’t forget to take a break from shopping to watch the Rolling Slumber Bed Races on Park Row at 11:00! 2017 Early Bird Specials. Check back for updates! Rolling Slumber Bed Races Winners!